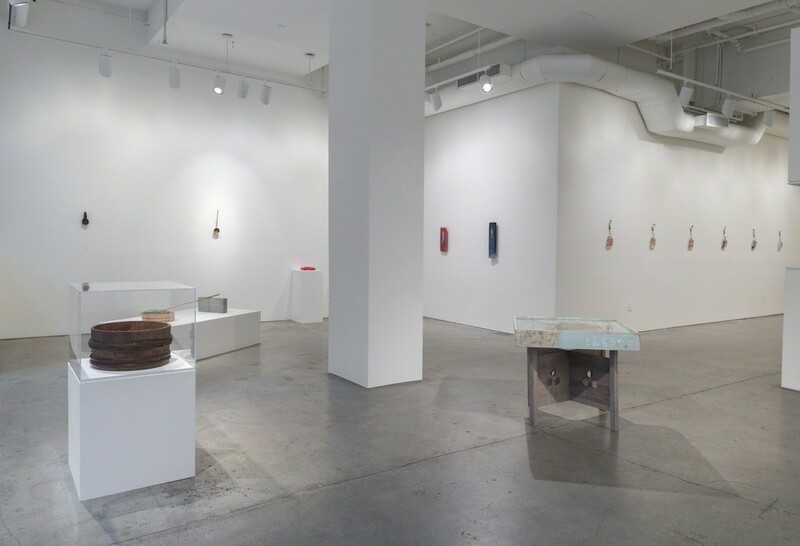 Joshua Liner Gallery is pleased to present Riusuke Fukahori’s third and largest solo exhibition with the gallery, Goldfish Blossoms. 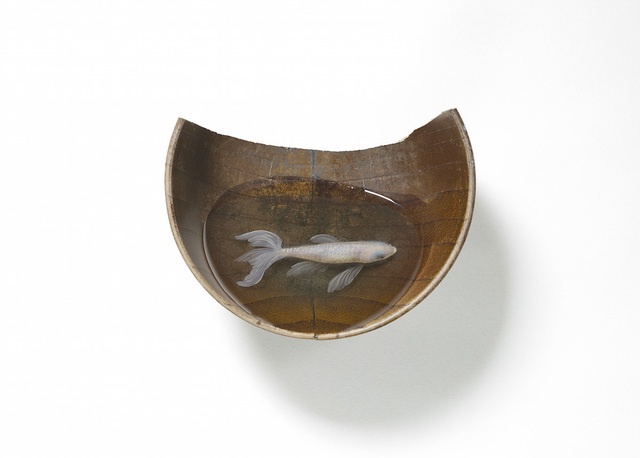 The exhibition highlights Fukahori’s signature acrylic and resin paintings of goldfish swimming inside Japanese household objects and vessels. 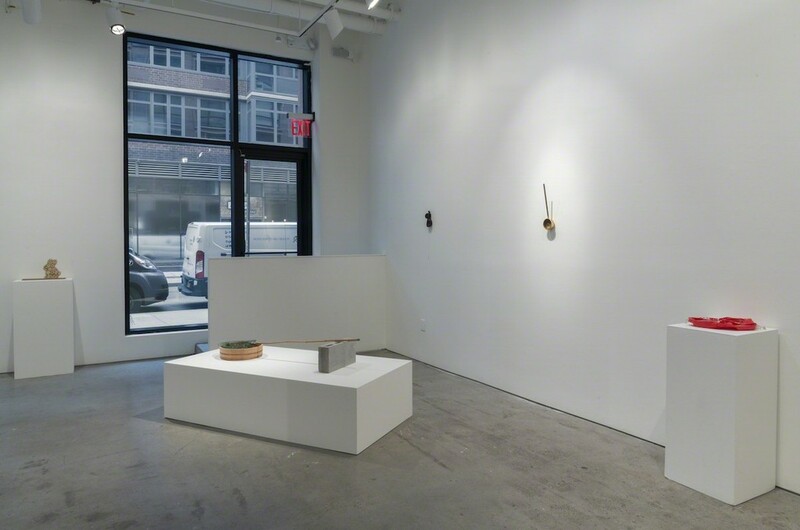 Joshua Liner Gallery is pleased to present Riusuke Fukahori’s third and largest solo exhibition with the gallery, Goldfish Blossoms. 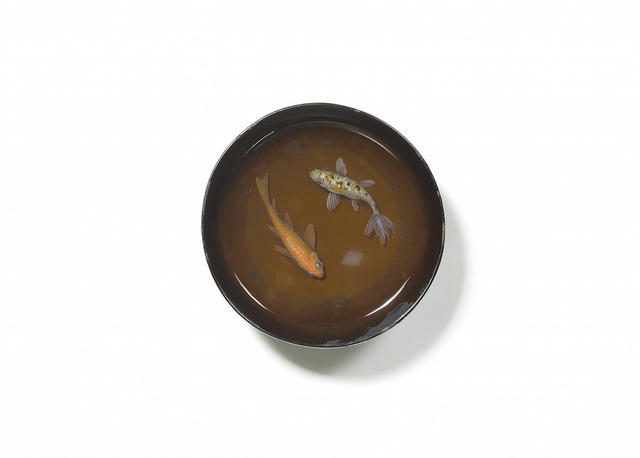 The exhibition highlights Fukahori’s signature acrylic and resin paintings of goldfish swimming inside Japanese household objects and handmade vessels in both perfect realism and abstracted ways. 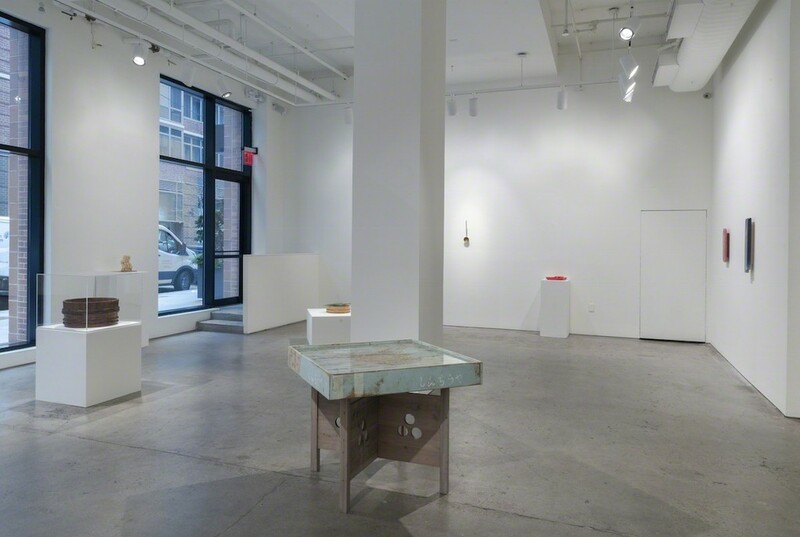 Goldfish Blossoms opens on December 13, 2018 and will remain on view through January 19, 2019. 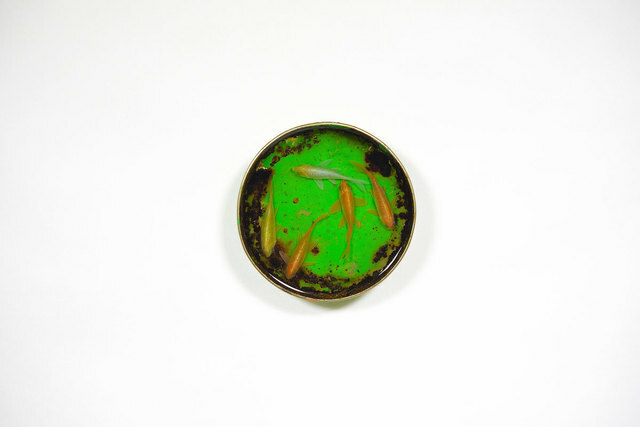 In Japanese culture, the goldfish has been a signifier of wealth and pedigree for over five hundred years. When goldfish first arrived from China during the early 16th century, Japanese aristocracy kept them as rare and exotic pets. 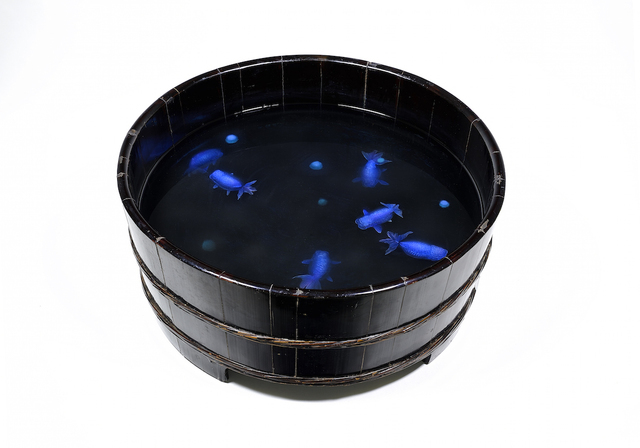 Later, Kingyo-sukui or goldfish scooping, a popular game in which a player attempts to catch goldfish with a special scooper, bolstered the animal’s adoration. Goldfish culture mirrors the Japanese’s passion for perfection, reflected in the strong emphasis on controlled breeding to enhance desired features. A breed’s color, size, and shape, as well as the way it moves through water, effects the desirability and price. 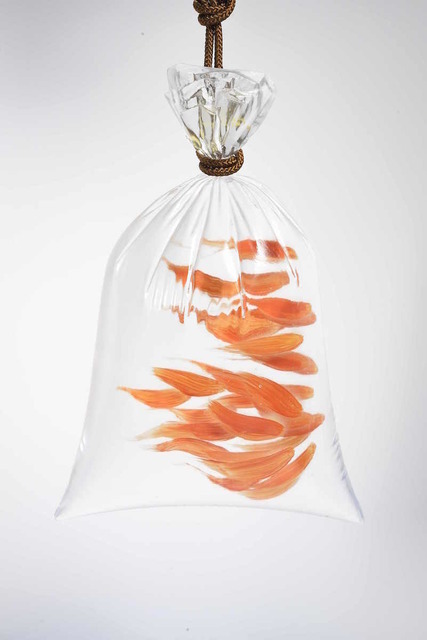 Fukahori states, “In the world of goldfish, as with cats and dogs, there is a difference in price depending on the breed.” Through his art, Fukahori chases what he thinks constitutes the perfect goldfish. 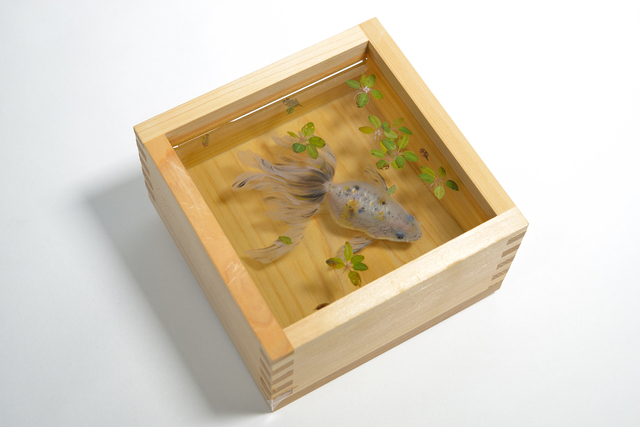 For Goldfish Blossoms, Fukahori continues to develop and cultivate painting goldfish as realistically as possible, using the layered resin technique that warranted his international rise to popularity. 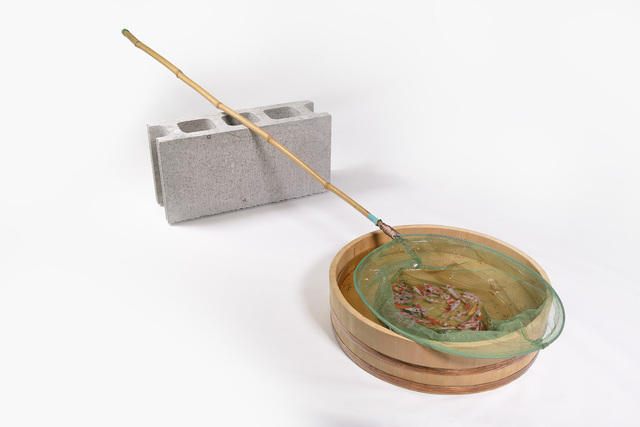 Beginning with a base layer of resin, the artist paints a layer of the fish’s pelvic fins, followed by another layer of resin and set to dry. 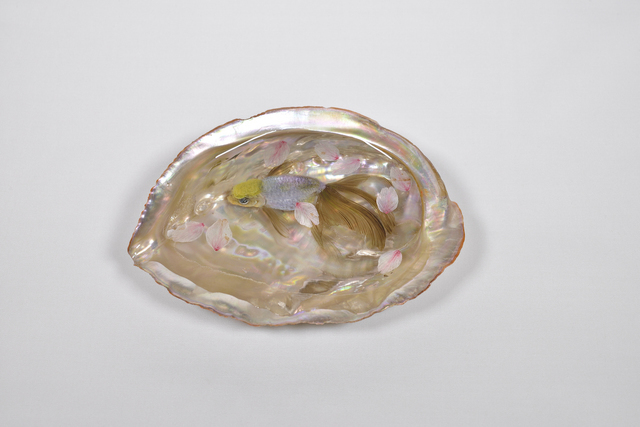 The process is repeated layer by layer for the body, eyes, and top scales, until Fukahori is satisfied with the result. Combined, each layer builds a striking illusion and form shadows below the fish, liberating the painting from a traditional flat canvas, while simultaneously making these painted goldfish indistinguishable from their living counterparts. 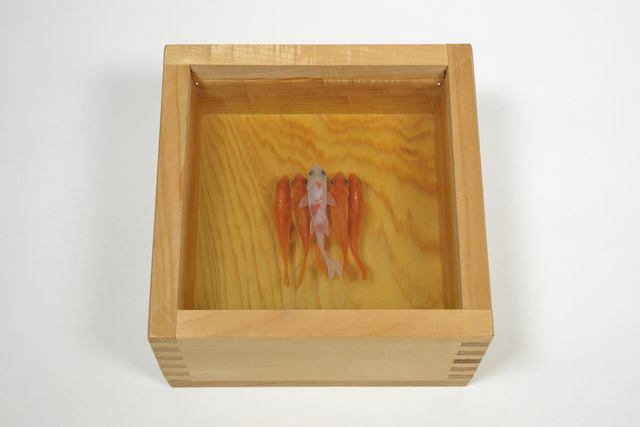 The artist has dedicated his life to these goldfish saying, “Everyday, I observe the goldfish’s coloring, study the way their fins are attached, and continue creating until I encounter a goldfish that I find beautiful.” Fukahori found resin to be the ideal medium to depict his goldfish because it allowed him to use his personal vessels to encapsulate the work. 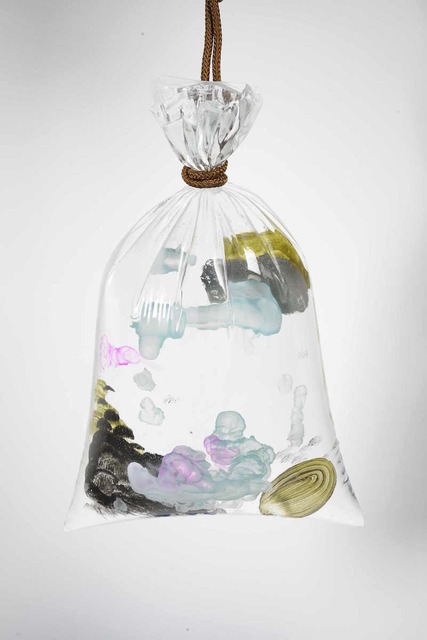 For the Irobukuro series, Fukahori molds the resin to resemble plastic bags filled with water. 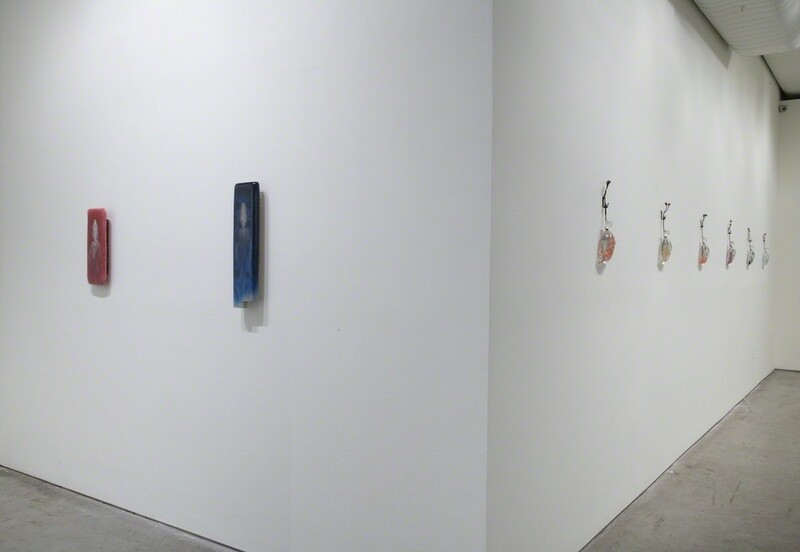 Inspired by the scenery at Mong Kok’s Goldfish Market in Hong Kong, famous for its colorful assortment of fish, these works explore the visually abstract qualities of goldfish, such as their graceful movement through the water. 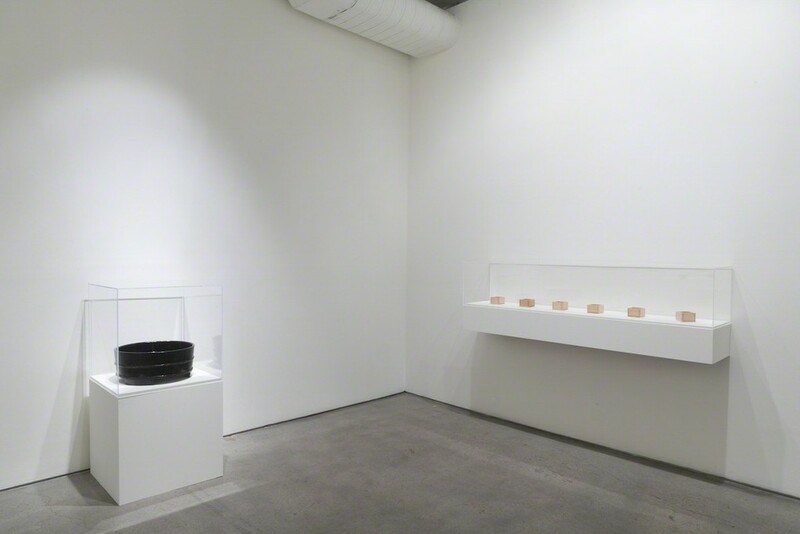 Despite Fukahori’s precision, the artist maintains a personal connection to his work through the vessels he chooses, which carry the history of the person who made, owned and used these utilitarian objects. 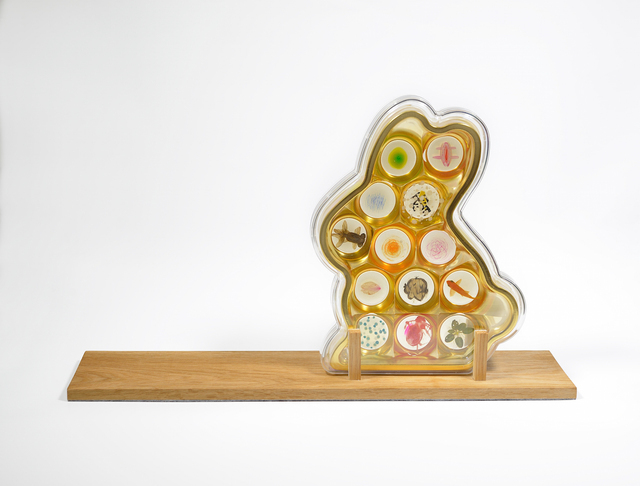 All of the items Fukahori selects to contain his menagerie of goldfish, hold meaning for the artist, who expresses, “All the vessels that I use are things that have crossed my path and I have made a deep connection with.” A few years ago, the artist returned to his hometown, stopping by a restaurant he frequented since childhood. The owner revealed to Fukahori that after 30 years of business, he was closing the restaurant. 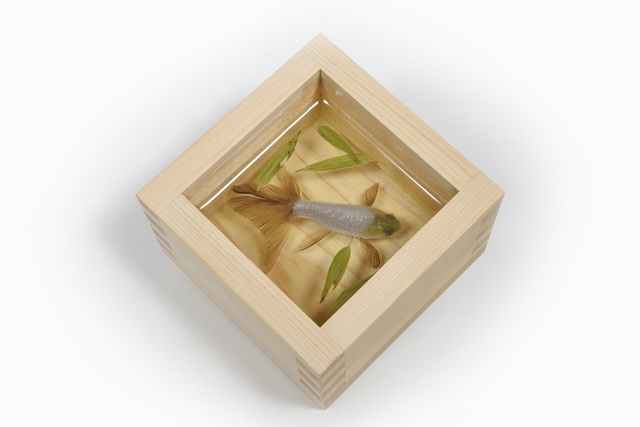 As a commemoration of their reunion, he gave Fukahori a wooden sushi oke tub originally used in the kitchen, which the artist repurposed to create the habitat for Suma. 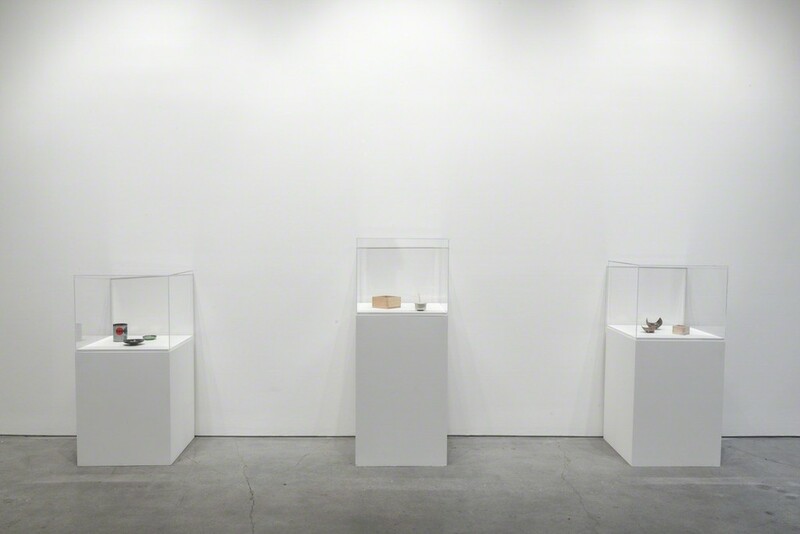 By using objects that hold personal significance, Fukahori imparts a piece of himself into each work. 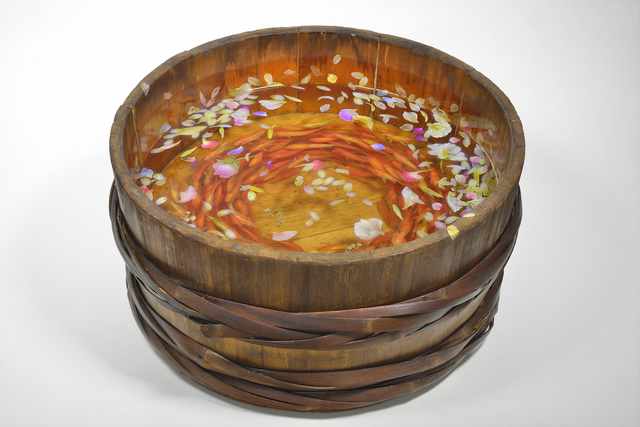 Like Suma, many of the vessels keep their original aura or unique characteristics linked to a specific time and place. 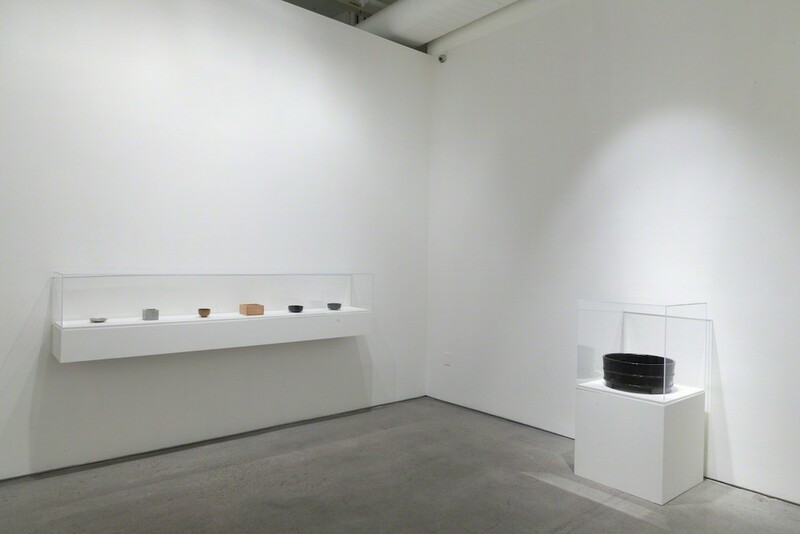 Akegiri and Futatsuboshi both feature black bowls that show signs of wear that accumulated during years of use at a Buddhist temple, while other works incorporate bowls the artist accidentally broke. 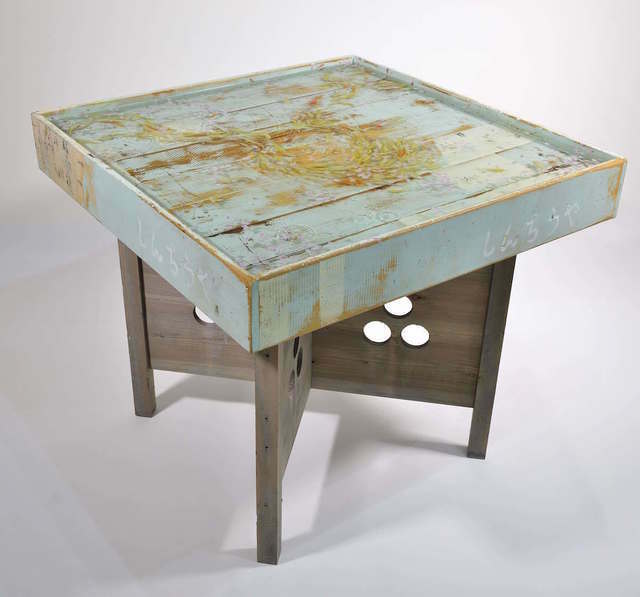 A few works include old paint cans from Fukahori’s studio, such as Neo Color, distinguished by a slightly dented rim and green paint coated interior. 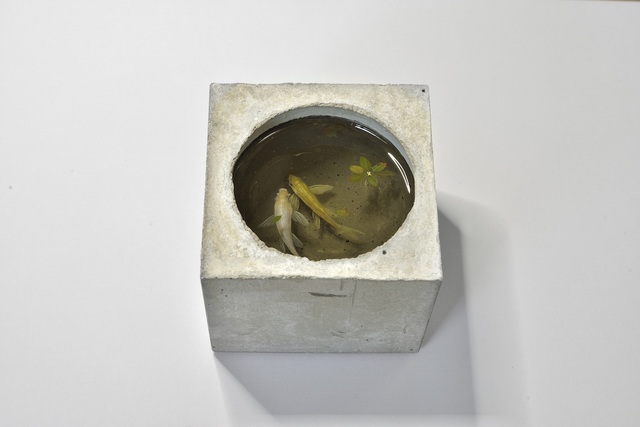 Referencing the means of its own production, the vessel once containing paint Fukahori used to bring his goldfish into existence, now serves as a life-sustaining environment. 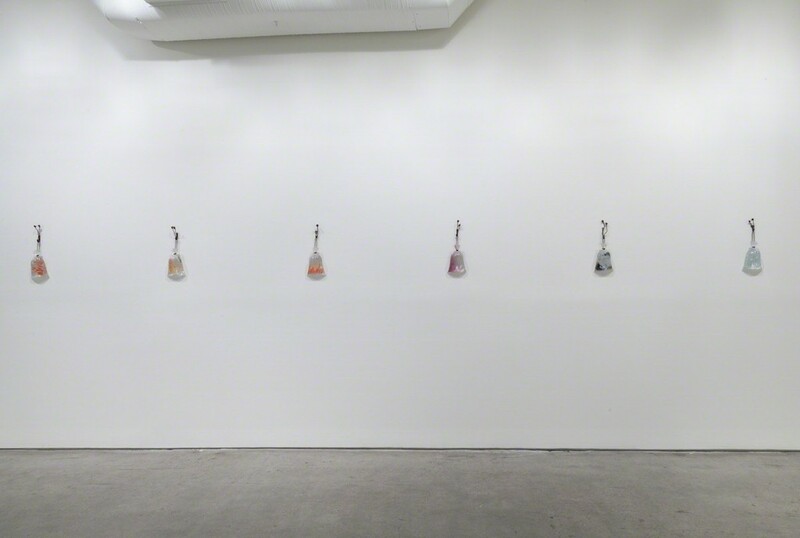 Born in 1973 in Aichi, Japan, Fukahori currently lives and works in Yokohama, Japan. 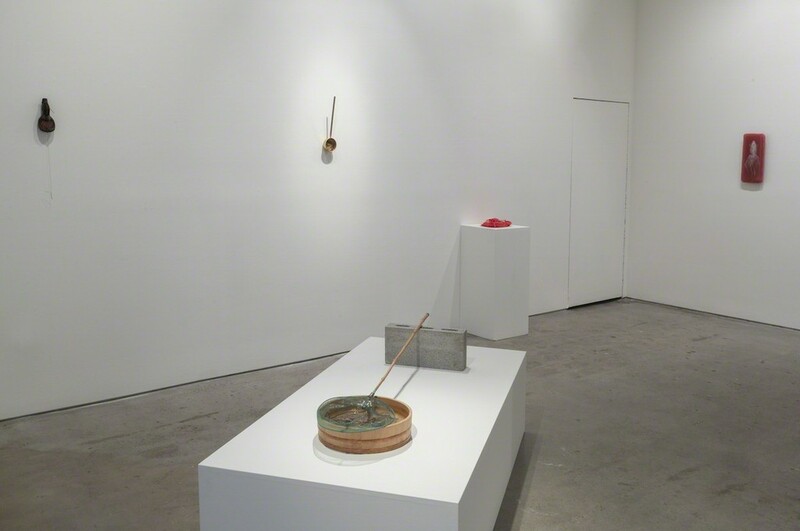 Selected solo exhibitions include: Hiratsuka Museum of Art, Hiratsuka, Japan (2018); Kiriya City Art Museum, Kariya, Japan (2018); Goldfish Salvation 2 (2014) at ICN Gallery, London, UK, exhibition in conjunction with a live painting and artist talk at the Japan Foundation; Goldfish and Water Yue (2014) at E & C Gallery, Fukui, Japan; Goldfish Salvation, Joshua Liner Gallery, New York, NY (2015); and The Painted Breath (2013) at Joshua Liner Gallery, New York, NY. 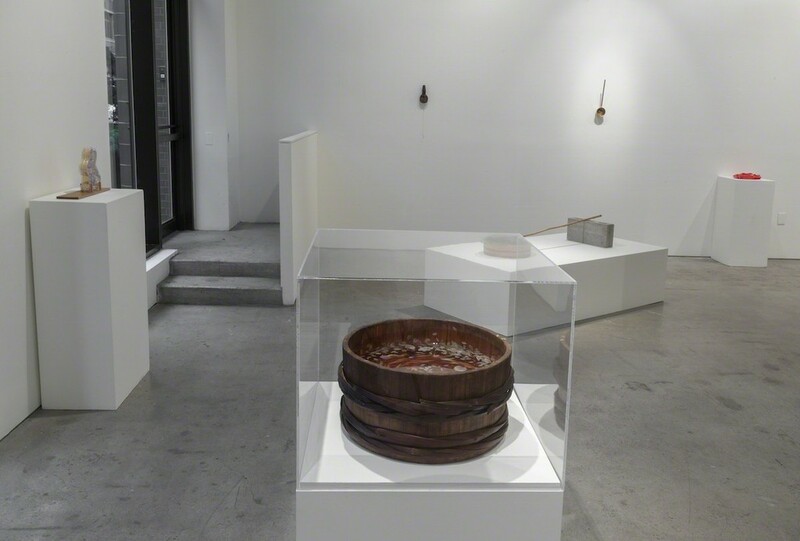 Fukahori’s work is held in numerous private and public collections, most notably the Edogawa Art Museum, Tokyo, Japan; The World Children’s Museum, Hamada City, Japan; The Japan Foundation, Shinjuku, Tokyo.